Leveraging referrals is the key to increasing the number of moving company leads your business receives. Learning how to leverage customers, partners, and affiliates can make all the difference between having a banner year or having a year where the competition passes you by. In fact, it is more cost effective and efficient to leverage your existing network to generate new business than it is to cold call and reach out through untested channels. To that end, the following are some ways you can leverage your network to achieve the results you desire. Ask your customers for referrals after they have completed their move. Following up with customers via emails, phone calls, and surveys is a solid way to leverage your hard work. This is one of the most effective methods of achieving referrals, and more than 50% of the time it will generate new moving company leads for your business. What works for Company X may not work for your company. For this reason, it is crucial to identify the strategies that work best for your business and to tailor your efforts accordingly. Measuring the approaches that generate the most leads for your operations will help you determine where to best invest your time and energy as you move forward. Keep a record of the individuals and businesses that send referrals through your door. Make sure that you reward these champions for their efforts. Whether it is through coupons, discounts, or cash awards, make sure that they have a reason to keep sending clients through your doors. Customers will gladly tell you when something isn’t done right. While it can be frustrating to hear about shortcomings and faults, it is invaluable information you need to pay close attention to. It is even more important to act upon it when the criticism is justified. When you correct the deficiency and inform the client that you have acted upon their feedback, there is a good likelihood that they will give you an unsolicited, positive referral when their friends, family, or colleagues ask about moving services in the area. Building personal relationships is crucial in the highly competitive 21st-century business environment. The more personalized your approach, the greater the impact you will have on your customers. Knowing who your customers are, understanding their individual needs, and responding to their individual goals will build brand loyalty and a steady stream of referrals. Share the information and feedback your clients share with you. Using this information on your website and social media profiles is a solid strategy for attracting new business. In the modern business environment, reviews and testimonials from satisfied clients are as valuable as the most persuasive ads from Madison Avenue. Doing what is expected is the only way to stay in business. Doing more than what is expected is the only way to grow your business. Go the extra mile and do more than the minimum when it comes to service, delivery, and support. The more you do, the more memorable the experience for the customer. 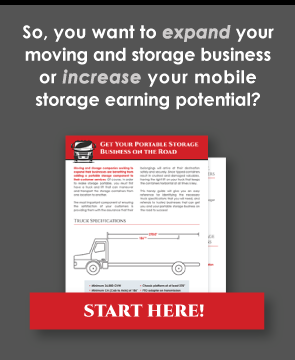 When you utilize these strategies, you will increase the quantity, and more importantly, the quality of your moving company leads. Over time, the leads your referral network generates for your business will become the backbone of your marketing efforts.